John Heinz National Wildlife Refuge — Formations, Inc. 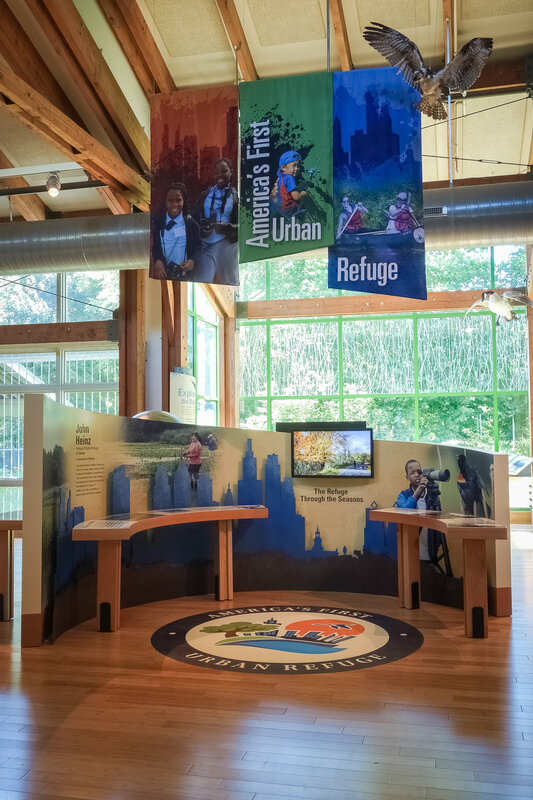 Formations designed, fabricated, and installed 5,800 square feet of exhibits at America’s First Urban Refuge—John Heinz National Wildlife Refuge in Philadelphia, Pennsylvania. The project’s design drew inspiration from the community it serves and the people that serve it—featuring AV programs that highlight some of the Refuge’s volunteers, a tactile map of Philadelphia, and incorporating the city’s skyline into design elements. 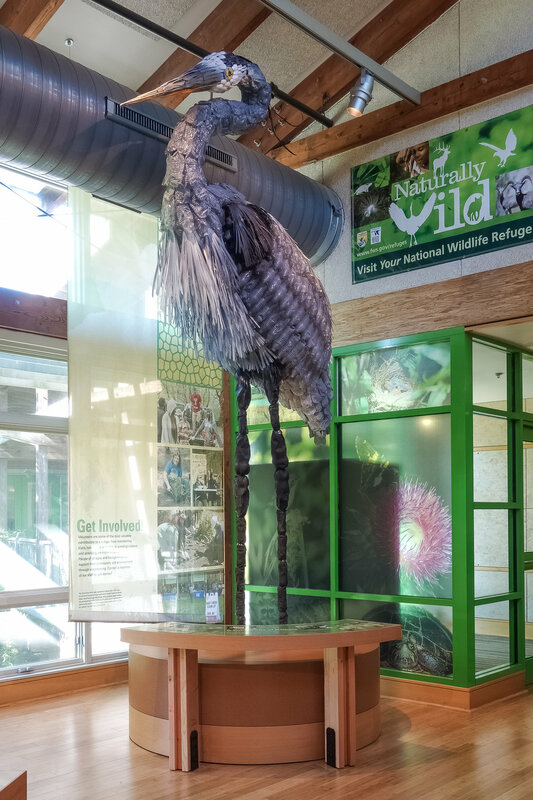 Exhibits honored the unique relationship between nature and the sprawling metropolis visible from the Refuge, epitomized by the 12-foot tall Great Blue Heron sculpture made of recyclable materials often found littered in the marsh—serving as a reminder that humans and wildlife are interconnected. Flip-panels, AV programs and an oversized tactile map of the area present visitors with a truly interactive experience. Colorful banners, suspended over a custom-fabricated metal cityscape, welcome visitors into the exhibit area. This 12′ tall Great Blue Heron is made from recycled materials and reinforces the theme of humans coexisting with nature. Sequential panels feature a landscape mural and stylized photos of visitors enjoying the refuge. An AV program elaborates on their stories. 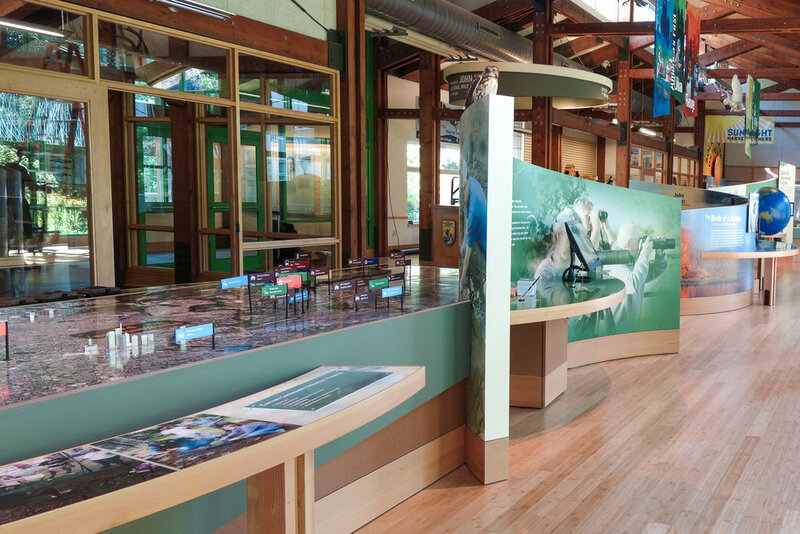 Curved walls form freestanding, double-sided graphic murals and guide visitors through the exhibits. Visitors learn about the history of John Heinz National Wildlife Refuge and its significance to the global bird migration patterns. This faux wildlife display demonstrates how visitors can experience nature on the refuge. A reader-rail interprets the display through the use of text, images, and tactile pieces. 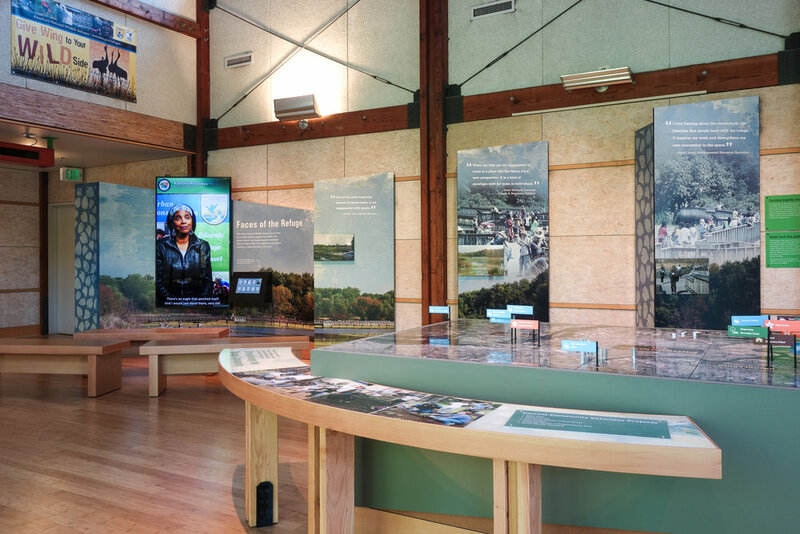 The visitor center exhibits were created in conjunction with a series of graphic panels mounted along the refuge trails and boardwalks. This three-sided outdoor welcome structure includes cut metal, graphics, and interactives. Formations fabricated and installed custom stanchions to hold the wayfinding graphics for the network of trails at John Heinz.